British Pie Week is a celebration of British Pies, which we on the Pierate Ship absolutely love! In our quest to eat and rate as many pies as we can get our hands on, we’re making a Pieary (Pie Diary) of all the pies we eat this British Pie Week. Some of these are included as part of our #PiePledge commitments, promoting and encouraging pie consumption. 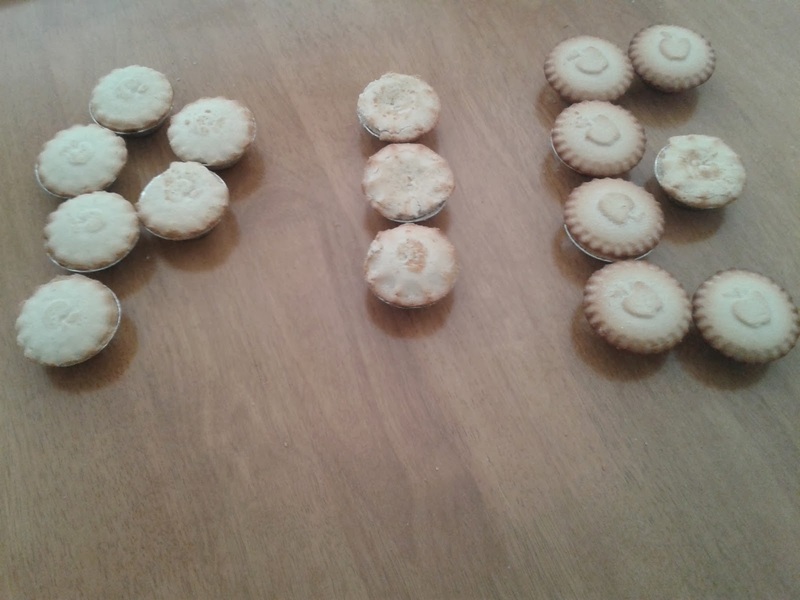 For Day Two of British Pie Week, Pierateer RAS had made a #PiePledge to only eat sweet pies for a day. After waking up, Pierateer RAS started with two Mr Kipling apple pies for breakfast. At 232 kcal each, these lasted him until 11:20, when he tucked into his third Mr Kipling apple pie just to tide him over until lunch. Lunch consisted of... well… 2 apple pies. This time they were “Northwood Bramley Apple Pies” from Lidl, at a slightly exuberant 234 kcal per pie. I’m not going to lie – eating 2 apple pies for lunch was not my ideal preference, but that was nothing. As I am volunteering at the All England Badminton Championships this week, I ate another Mr Kipling pie to give me the energy I needed while walking over to the NIA in Birmingham at about 4pm. Dinner was served at 7pm – though what I mean by dinner was 3 Morrisons Apple Pies, at a cheeky 240 kcal per pie. I have to admit, having already eaten 6 apple pies during the day, the thought of 3 apple pies for dinner was not one I relished, but I was glad the pies were pretty good. Arriving back home and needing to write up my experiences, I found myself eating 2 more Mr Kipling apple pies just to complete the box, reach my daily recommended intake of 2,500 calories and generally bask in having spent a whole day eating nothing but sweet apple pies! My #PiePledge was fulfilled! This really isn’t a challenge for the faint of heart – in consuming 227% of my recommended daily allowance of sugar, I wouldn’t suggest people try this at home. Unless you’re a fully trained pie-fessional! All this means Pierateer RAS had pie for Breakfast, Lunch and Dinner, meaning he completed Pie-thagoras Theorem on day two of British Pie Week! - After a day of eating nothing but pork pies, Pierateer TJP had some fruity fibrous cereal for breakfast, a salad for lunch and savoury pancakes for dinner. But where's the pie? Oh wait, he sneaked one in for dessert! 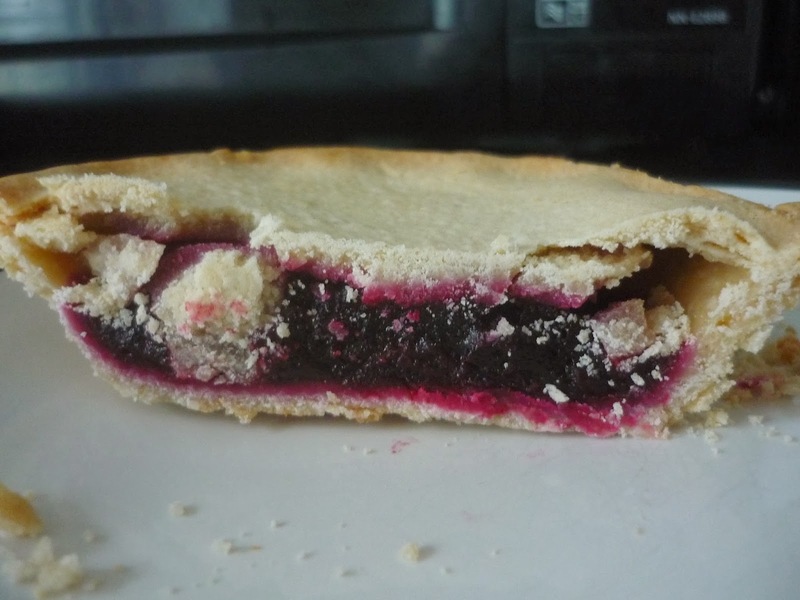 An ASDA blackcurrant pie. Mmm, fruity. And definitely no pork involved.